Collective Works are nearing completion on another exciting hospitality project in London. The construction of Heads & Tails, a new cocktail bar on West End Lane in West Hampstead is well underway. The bar was formerly known as Lately’s which operated for over 40 years, however with the new wave of international crowds in London, the team behind the Kilburn Ironworks have taken over the lease to lead the charge on a much needed makeover. This is the second project that Collective Works have undertaken for this client, as hospitality design is a key area of focus for the studio. We are pleased to be working alongside the prestigious Kinnersley Kent Design – London based Interior Designers to deliver an appealing interior. The strip out is completed and the new steelwork is going in at the moment, which is due to finish in a couple of weeks. 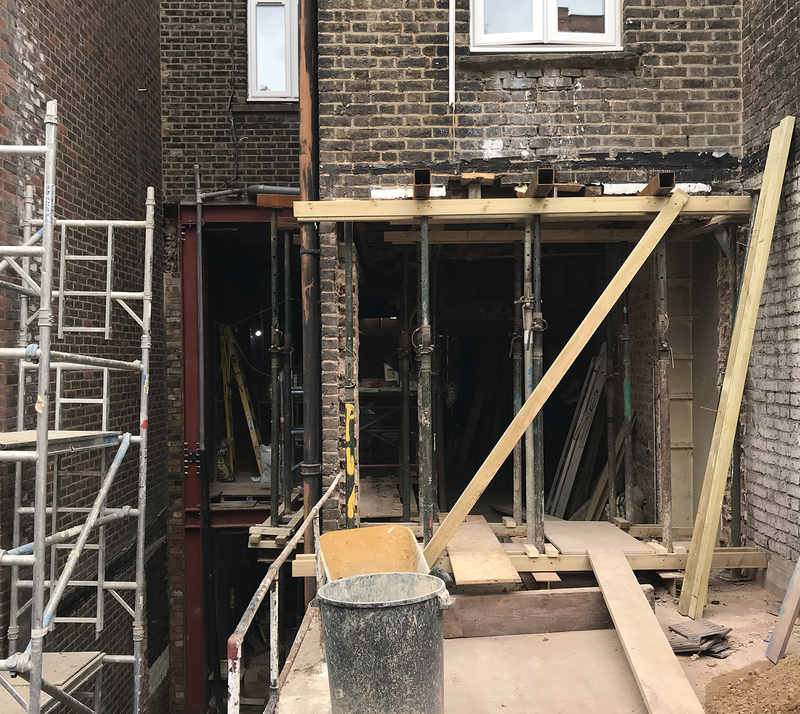 The team on site will then go full steam ahead with finalizing the main construction, which consists of a new ground floor extension and infill at the rear, before the internal fit out and new shop front commences. The split level venue will offer two distinct offerings with a bright naturally lit ground floor and a more intimate basement level. The works for the rear garden are also underway, which will form a new stepped level outdoor serving area that will be connected with the ‘sunken garden’, an outdoor seating area at basement level. 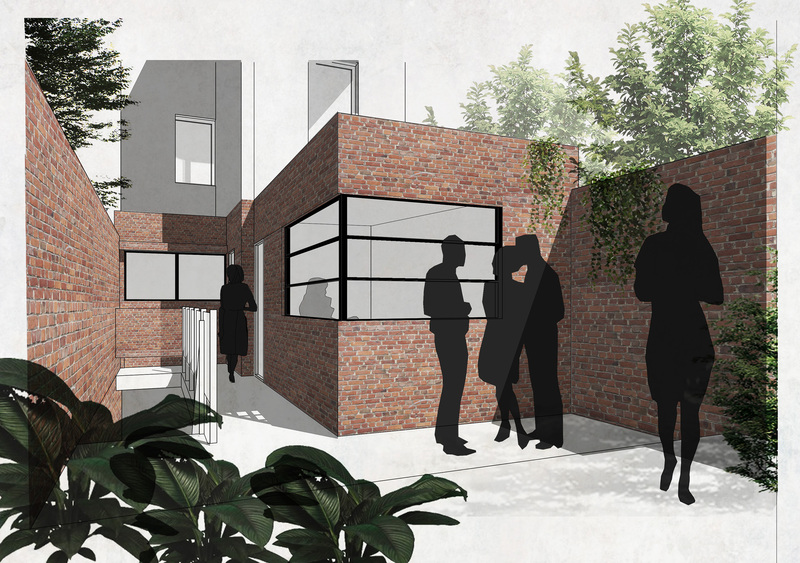 The works for the rear garden are also underway, which will form a new stepped level outdoor serving area that will be connected with the ‘sunken garden’, an outdoor seating area at basement level. The project is due for completion in early-mid October this year, so watch this space for a very exciting opening party. Other hospitality design projects from Collective Works in include restaurant and bar design for one of Time Out’s favourites, the Kilburn Ironworks as well as the Hoxton based Underground Cookery School. We are also currently giving an already popular Japanese restaurant in the centre of Shoreditch a new home, which is under wraps at the moment but we will be able to share the concept and images with you soon.